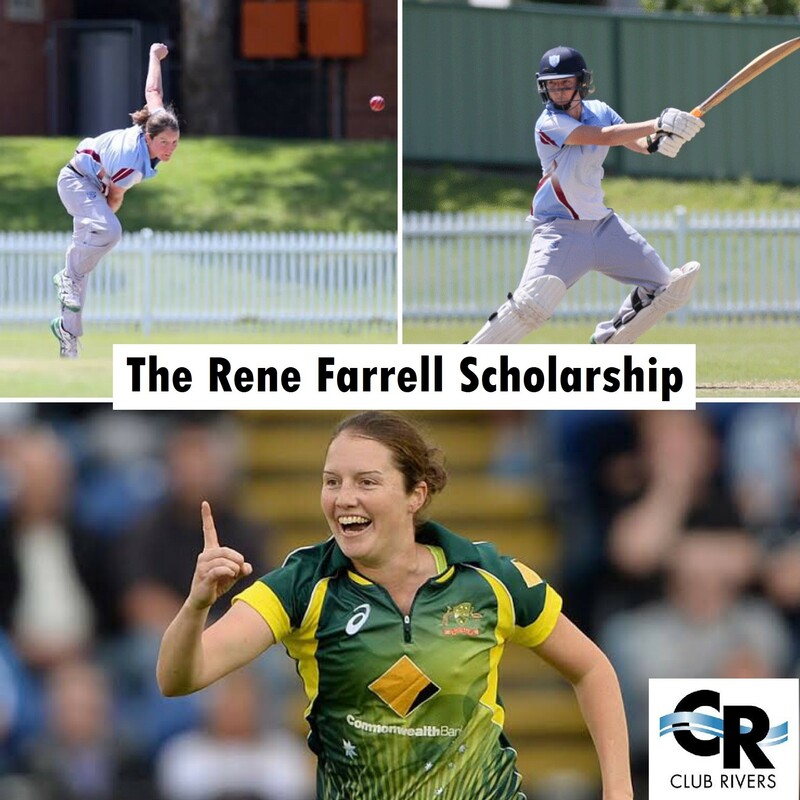 We are thrilled to announce a brand new initiative of the Slayers, The Rene Farrell Scholarship! Each year two junior players (who are playing in the Sydney grade competition) will be awarded the scholarship as we endeavour to encourage them in their endeavours in cricket. Each recipient will have their fees paid for two seasons and will receive funding for either new equipment or private coaching through Kingsgrove Sports. Naming the scholarship after Rene, our first home grown Australian international, was a no brainer for us. We hope to see many more of our juniors rise to the heights of the Southern Stars in the future just like Rene. This new initiative is supported by our wonderful new sponsors at Club Rivers.